Second chances. For audio reviewers those mostly don't come. Let something get away—which happens; after all, how much hifi can one really justify owning?—and opportunities to rekindle old flames are very rare. One can't ask to review the same thing twice just because of withdrawal symptoms. That's how I'd opened the recent review of Albedo's slinky Aptica speaker. And I really didn't think I'd use those same lines again. Certainly not this soon. 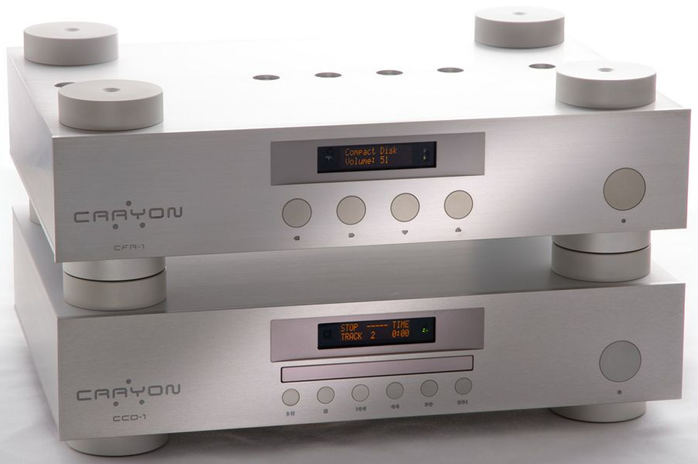 This time they point at Crayon Audio's CFA.1.2, a very different 25Hz-100kHz ±0.5dB integrated amp from Austria. It runs off a fully shielded Taiwan-built precision switch-mode power supply. It has bridged current-feedback output stages with no global NFB. 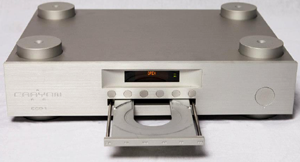 It includes an apparently perfectionist programmable MM/MC phono stage (I said 'apparently' since without the vinyl gene I can't confirm it for myself). Four years ago I'd written up the machine's award-winning original incarnation. I still felt sorry for sending it back. Twelve changes since distinguish the second coming from the first to enable this revisit. First amongst those is a useful power increase to 63/90wpc into 8/4Ω (117w peak into 4Ω). 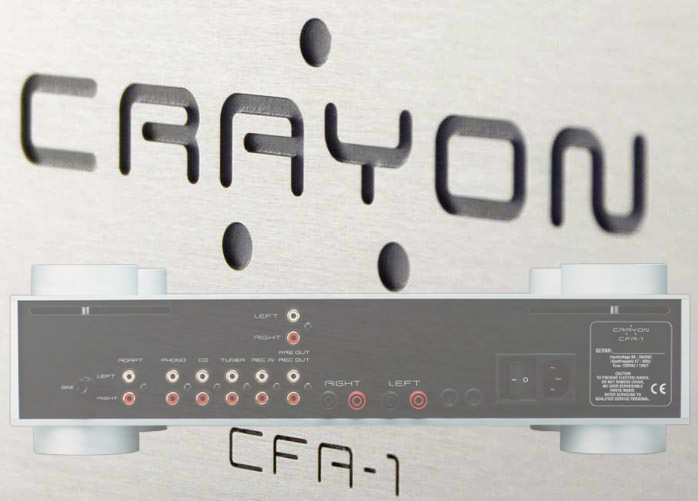 According to US importer StereoDesk, because the revised software-driven loudness control now allows one to input a speaker's sensitivity value, it makes the CFA 1.2 compadre with even highly efficient designs like the Rethm and Teresonic widebanders they sell. There's still broadly adjustable input sensitivity. By remote access of the extensive menu, one may change it for various inputs, even the new sub-friendly variable out. For a full rundown on extensive featurization including software-driven tone, loudness and balance controls, consult the owner's manual. An ST Microsystems controller handles 1dB volume steps from 0 to 80. Current-compensated coils couple all DC-isolated inputs to filter 1MHz to 300MHz noise even on the ground pins. PCB construction assures <1Ω resistance on circuit traces up to 1GHz. This builds strong RF/EMI immunity. Voltage regulation is exclusively by constant-current cross not linear regulators. There are no speaker relays. Turn-on transients are avoided instead with soft-start circuitry, switching transients during input changes with an auto fade/reset feature. 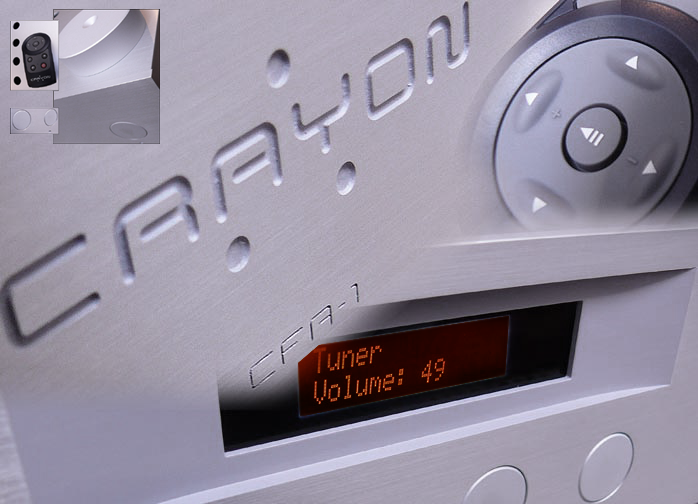 Clearly Crayon's Ronald Krammer borrows heavily from ultra high-frequency circuit design to deal with bandwidth effects well outside the usual audio window. Considering amok HF pollution from mobile devices and wireless networks which pervade our homes even if we don't run them ourselves, it's only sensible that high-performance audio should insist on greater immunity to their ever-present intrusion. 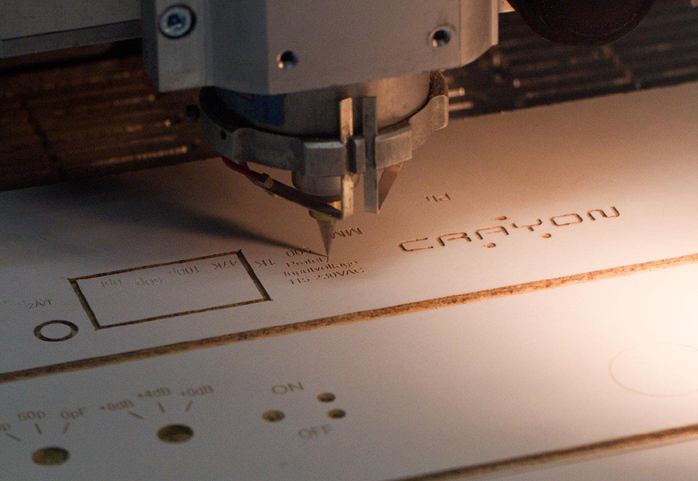 On raw circuit bandwidth Crayon is related to the Swiss Goldmund and Job amps whose core circuit is based on a Tektronix oscilloscope precursor; and to the Japanese/Korean Bakoon. Owning and adoring units from either, I was curious how Crayon would fare in their company. With the still in-house Albedo Aptica I had a highly time/phase optimized ultra-precise transducer to take just that measure. But first to our dirty dozen. What else had changed between v1. and v1.2? 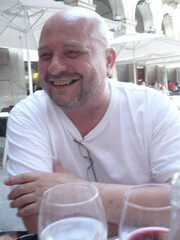 Time to get with Roland whose Linkedin profile lists former work as head of Unitel GmbH's technical department; assistant technical designer for Presens GmbH; self employment with E&K Industrie Systeme; assistant technical designer for Infolog GmbH; head of hardware development for Micro Analog GmbH; and assistant technical designer for Syrinx DSPC GmbH. Job descriptions included development of studio automation gear; hardware development and PCB design with Allegro from Cadense; application development for industrial electronics; hardware and FPGA development; exact phase measurement using synchronous demodulation in an FPGA; and technical realization, MCC design and special PCB design for extreme EMC requirements and high-speed digital designs relying on very fast data buses and high-speed serial links. Blazingly fast circuits and Roland Krammer are thus on an intimate first-name basis.